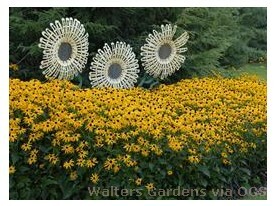 Product Information : Golden-yellow, daisy-like flowers have a distinct dark brown central cone. Sturdy, upright habit. Long blooming.